See below for a collection of our current and past projects. Click to learn more. Empowering diverse communities of faith to implement chronic disease prevention and self-management programs. ISH offers chaplaincy services to organizations and agencies that seek to include a spiritual presence in their workplace. If you’d like to bring such services to your workplace, explore below. Our annual luncheon focuses on celebrating our own projects as well as honoring the impactful work of other TMC member institutions. Each year we present the Rabbi Samuel E. Karff Caring Heart Award. With generous support from Fondren Foundation, our goal is to help understand what is important to parents, young adults, community leaders, and individuals as they navigate their day-to-day landscape and life transitions, and reflect on the broader scope of their lives. An ongoing grief support group for individuals who have lost or who are anticipating the loss of a loved one. Formed in response to Hurricane Harvey, GHHC promotes and implements mind-body skills trainings, groups and workshops across Greater Houston. 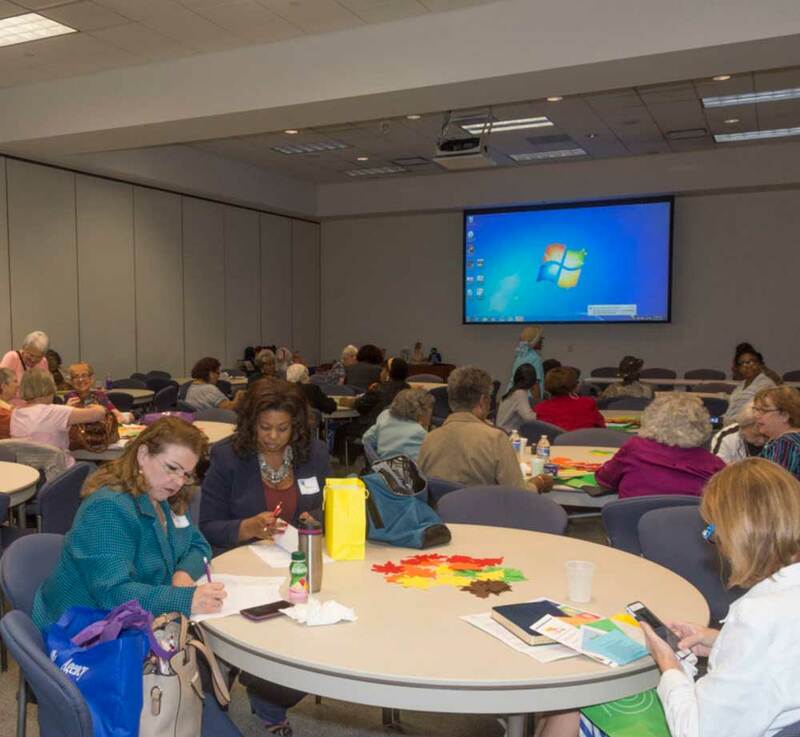 Each year, ISH partners with MD Anderson Cancer Center's Department of Palliative Care to organize a powerful conference focused on spiritual care at the end of life. Curious about meditation but unsure where to start? Thought to yourself, "I am bad at meditating," or "I don't know how to meditate"? These bi-annual workshops provide a foundation for those interested in beginning or augmenting contemplative practice. 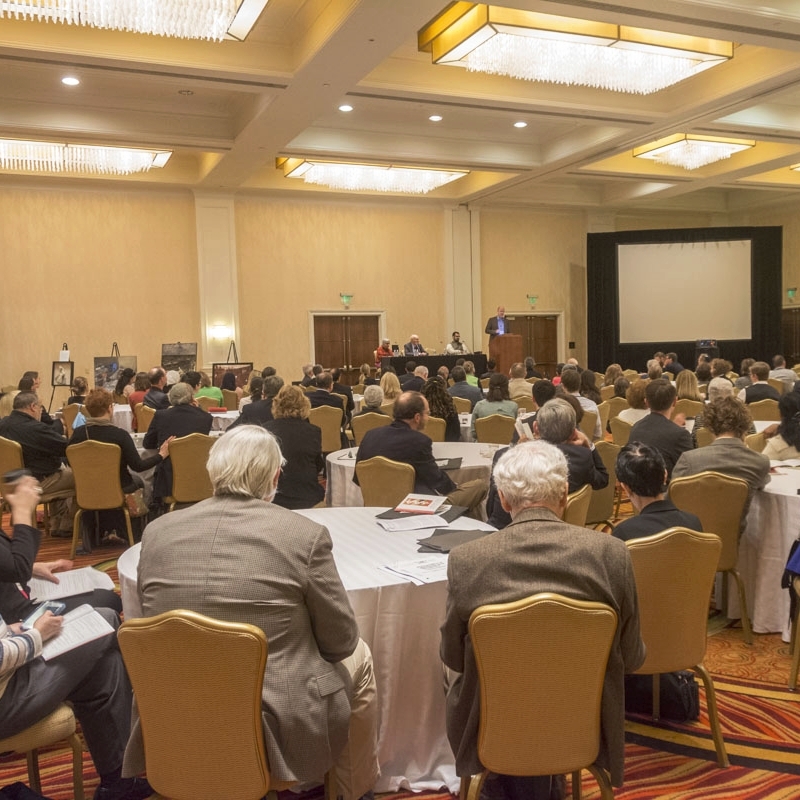 The leading national conference in this field,CMR brings scholars, healthcare professionals, and faith leaders together to explore cutting edge work on medicine and religion. The Psychotherapy & Faith Conference has been a staple for over 25 years, providing a cutting-edge experience for practicing psychiatrists, psychotherapists, social workers, mental health professionals, chaplains, clergy and members of the interested public. An embodied worship experience, bridging sacred yogic and Christian liturgical traditions. YogaMass provides a spiritual setting unlike any other. Led by Lex Gillan (Yoga Institute) and hosted at ISH these trainings certify yoga teachers at the RYT 200 level. Bring your yoga practice to the next level! This portable, pop-up contemplative environment equipped with meditation-laden tablets can be deployed anywhere indoors or out. Bring the Meditation Station to your upcoming event and make a unique impact on guests! The loss of a loved one can be especially difficult during the holidays. Each year, in early December, we gather together to support each other, share stories, and learn coping strategies. Offered to medical, nursing, and dental students, this experiential elective course brings cohorts of future healthcare professionals to houses of faith across Houston in order to learn about their respective traditions as well as their views on health and healing. We are proud to serve as a satellite campus for Saybrook University's graduate degree programs in Mind-Body Medicine. Are you ready totake the next step in your education in these skills, which have been called the future of medicine? Courage to Search is a program that empowers participants to ask "the big questions" and explore the horizon of possibilities for answering them. The program has been adapted to recovery centers, non-profit settings, leadership retreats, communities of faith, and individual sessions. Each Wednesday we offer a free, 45 minute guided meditation experience. Our close proximity to the medical center makes this an easy, ideal opportunity for healthcare professionals and others to enjoy some respite from a busy week. ISH partners with LivingWell Therapies to bring Tai Chi and Qigong classes and trainings. These ancient practices interweave attention to the breath, the body, and the mind, in order to promote a more balance and equanimous life. Undergraduate students participate in self-guided internship and practica projects that focus on an array of themes. Explore their projects, and learn about how you can join us below. Continuing our tradition of carefully considering the nexus of spirituality, aging, the end of life, and the healing professions, ISH contributes to several program and research projects in coordination with MD Anderson Canter Center and Houston Methodist. 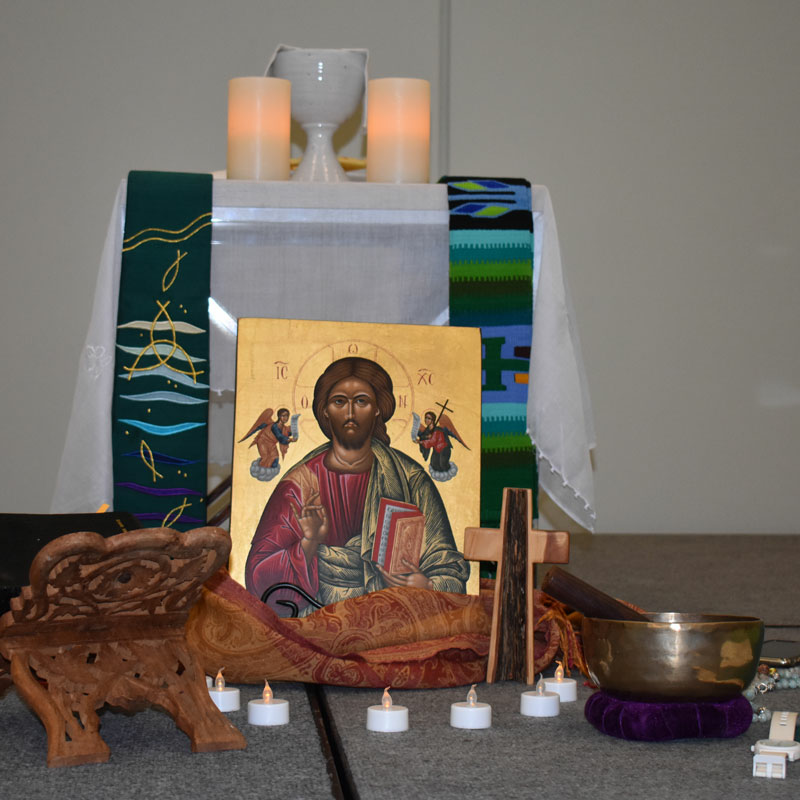 For over 25 years, this conference has provided a unique training opportunity for nurses across specialities who seek to discover new connections between spirituality and their profession. We are proud to partner with several other TMC institutions to make it possible. To celebrate our 60th Anniversary, our resident ethnographer, Susana McCollom, completed 60 face to face interviews that were focused on our community's understandings of both health and spirituality. Each year we bring clinicians together for a powerful program to explore different dimensions of the relationship between spiritual/religious belief and practice, and the end of life. The state of one’s body is inherently intertwined with a person’s spiritual identity, and physical conditions can challenge, strengthen, and transform that identity. This ongoing series features clinicians, patients, faith leaders, and others who share personal testimonies. Our podcast, based on dozens of interviews conducted by Susana McCollom, who is curious about how spirituality shows up in our lives, and what we can learn from the stories of others. Available on iTunes and more! Listen now. This roundtable series is designed to give faith-based leaders and representatives in the Houston area an opportunity to share how their communities have been impacted by substance and opioid use, learn more about the epidemic, and build the foundation for local collaboration. With support from the John M. O'Quinn Foundation, we are building a Center of Excellence for Children's Spirituality, which will focus on understanding and augmenting the immense spiritual power that children innately posses. Marriage, politics, career, religion, health, and sexuality – from death to ordering a meal. Being drawn toward something, and repelled away from it. Feeling torn. At some point, most people will find themselves entangled in ambivalence. ISH investigates these themes, exploring their relevance to health and spirituality. ISH is a member of Compassionate Houston, which is dedicated to building and promoting Houston's compassionate culture and network. The Charter for Compassion, crafted by a group of leading inspirational thinkers called to action by Karen Armstrong, is based on the fundamental principles of universal justice and respect. A foundation of ISH's identity is the community of. scholars who contribute to our mission by writing, lecturing, and joining us in creative thinking. Occasionally we invite scholars to office with us for extended periods. Read here about those scholars who have made a special contribution to our work. ISH has the honor of working with LifeGift to engage with LifeGift employees as they extend themselves to help others in the Houston community during times of extreme loss. Longing to discover new aspects of your spirit, but not interested in therapy or formal spiritual direction? Allow us to refer you to a spiritual companion who can help you on your journey. Part of local, state, and national efforts to catalyze new links between health systems and communities of faith, ISH play the role of meeting ground, innovator, and community laboratory. 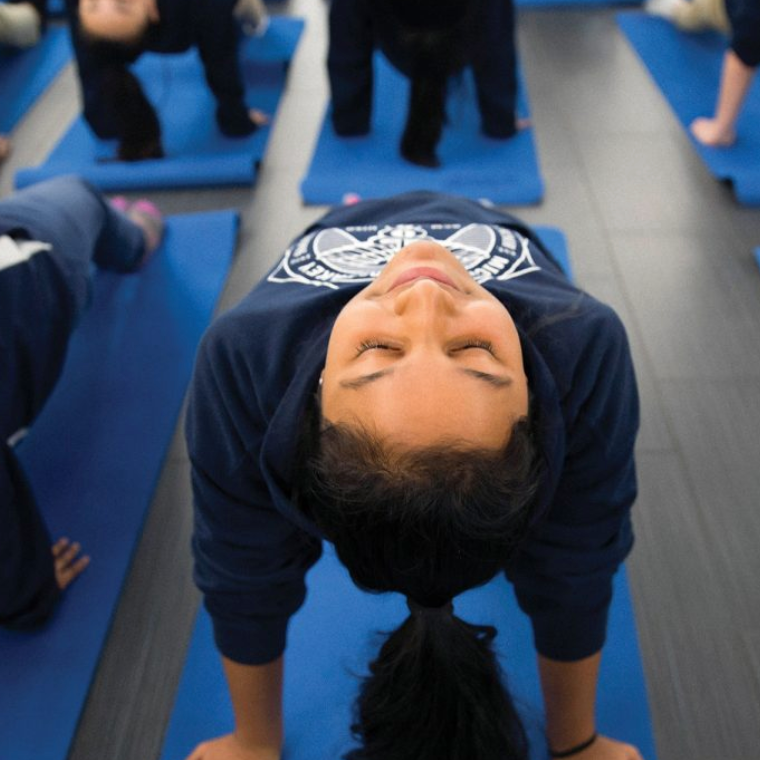 Baylor College of Medicine (BCM), ISH, and Debakey High School (DBH) partner together to provide to the students education regarding mental health and the benefits of yoga/meditation in reducing stress and improving overall well-being. In collaboration with Texas Children's Hospital, this program sought to evaluate the extend to which a 12-week yoga and mindfulness protocol impacted adolescents suffering from bipolar disorder. A sociological survey inquiring about the religious beliefs and practices of physicians, and how they feel those things relate to the practice of medicine. 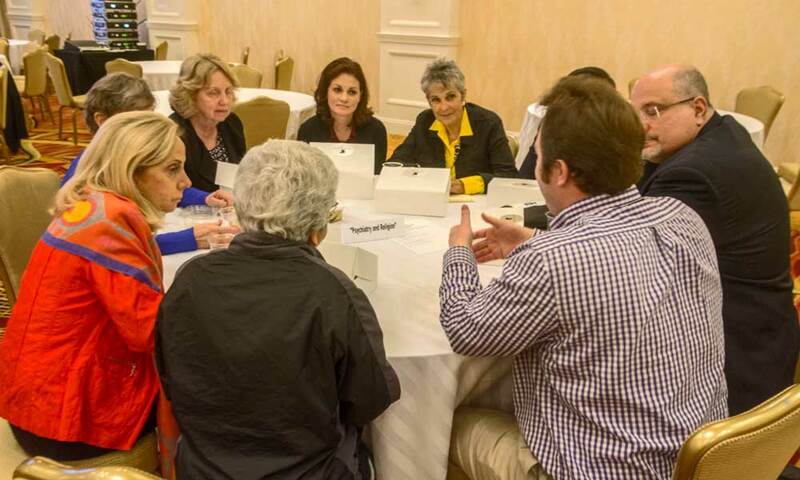 Initiated by the Center for Faith and Health Initiatives, the Shalom Series focuses on connecting communities with an eye towards health conditions. This innovative and grassroots work was pioneered by Dr. Karen Hahn of the Center for Faith & Health Initiatives. When Healthcare for the Homeless - Houston was on the heels of moving into their first custom-built space, ISH contributed to an ethnography of their staff, board members, and clients, that would eventually inform architectural decisions related to their new space. Each year ISH assists in hosting and marketing an intensive 4-day retreat alongside the Yoga Institute. These retreats are not to be misses, so learn more below. From chaplaincy to ethnography, ISH is involved in several projects that focus on Spanish-speaking populations, or that are conducted in collaboration with Spanish-speaking healthcare professionals. Click below to explore these projects further! These monthly seminars rotate in location as well as topic. Chaplains from TMC institutions come together to foster their networks, gain a sense of community, and share ideas. 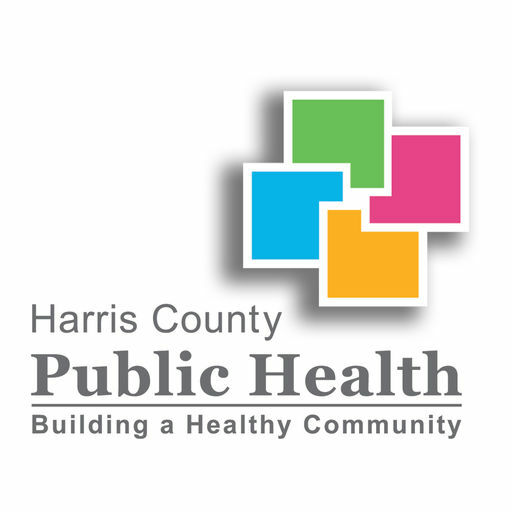 The HDHHS CHIP is the product of collaboration between community partners and the City of Houston, to improve the health and wellbeing of Houstonians. It is a long-term, systematic, communitydriven plan to address seven primary health areas identifi ed in the CHAs, and HDHHS Strategic Plan.